If you have a lactose intolerance or milk allergy or you follow a vegan diet and wish to avoid dairy products, you may be looking for milk alternatives. 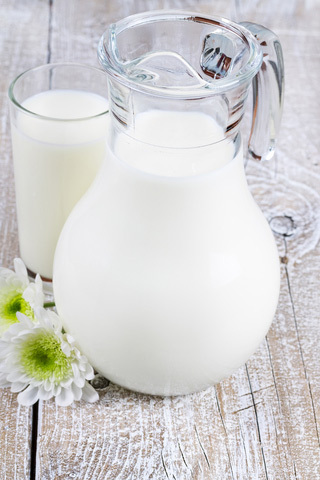 Lactose intolerance causes considerable pain and discomfort. It is characterized by bloating, stomach pains, wind and even diarrhea. Caused by an inability to digest the sugar in milk (called lactose) it affects a significant number of people. People who have this condition have no choice but to look for alternatives to dairy milk. Fortunately there are other options such as soy, rice and nut milks. Many of these substitutes are good sources of protein and calcium. Soy milk, which is made from soy beans, is a comparable alternative to cow’s milk. It contains more protein and iron, less fat, fewer calories and no cholesterol, but has about one-fifth the calcium of cow’s milk. For this reason it is often fortified with calcium. But it can also come loaded with sugar. Choose the unsweetened variety to minimize added sugar. Flavored soy milks can contain between 6 – 18 grams of added sugar. This may serve to sweeten the milk and make it more palatable, but has no nutritional benefit whatsoever. 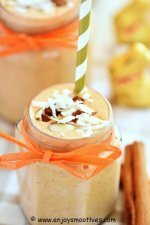 If using soy milk in your smoothies, use fruit or natural sweeteners such as honey to add sweetness or flavor. This is all the sugar you need. Coconuts have an edible kernel inside a hard brittle shell. The watery juice inside fresh coconuts is often used in cooking and drinks. But this juice should not be confused with coconut milk. Coconut cream and coconut milk are made by soaking grated coconut in boiling water then squeezing and straining the cooled pulp. 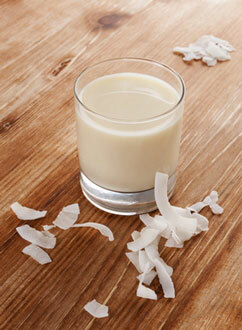 Coconut cream is the thick, first extraction, followed by the thinner coconut milk. Unlike other nut milks, coconut milk is high in saturated fat, at 5 grams per serving, so it should be used in moderation. On the plus side, it is gluten-free, cholesterol-free and rich in lauric acid, a substance found in human milk. Canned coconut milk can also contain sugar and other additives. The best solution is to make your own from fresh or unsweetened shredded dried coconut. Rice milk is typically made from brown rice and filtered water. It is the least likely to cause an allergic reaction or illness and the least fattening of all the alternatives, with only one gram of unsaturated fat per cup. The downside is that it contains 33 grams of sugary carbohydrates, far more than other types. It is nevertheless high in niacin and vitamin B6. With its low protein and calcium count, it is best to choose rice milk that has been fortified, otherwise you would need to incorporate other milks into your diet as well. 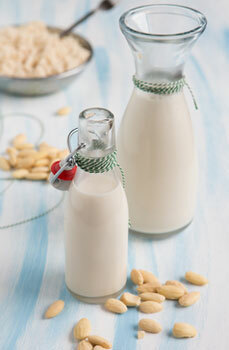 Nut milks are fast gaining in popularity as a viable milk alternative and can be made from almost any nut. The most common are almond, cashew and hazelnut. 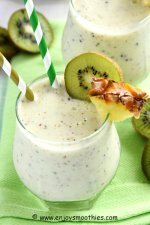 Basic nut milk is made by blending nuts with water to create a thick, milky substance. Most people add other ingredients such as agave nectar or dates to add a little sweetness. 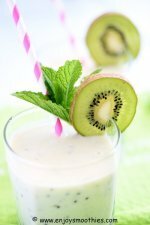 When added to smoothies they cut the sweetness of the fruit and tend to make thicker smoothies than those with juices. Ideal for those who are lactose intolerant or anyone wishing to avoid dairy, nuts are also high in healthy fats which help to prevent high blood pressure and heart disease. Almond milk is becoming increasingly popular as a dairy milk alternative. Although it doesn’t provide as much protein or calcium as cow’s milk, it does provide many other nutrients for good health. It is a good source of magnesium, manganese, selenium and Vitamin E. It is also a good source of unsaturated fat, flavonoids and potassium and contains less sugar than soy milk. High in fiber, one cup has only 60 calories, far less than full cream or even skim milk. When buying , check the labels for the least amount of preservatives and other additives or better still, make your own. Made from hemp seeds that have been soaked and ground with water, hemp milk is a great alternative for those with soy or nut allergies and is creamier and thicker than nut milks. Hemp milk really is a protein boost in a glass. It contains all ten amino acids, is very high in omega 3 fatty acids, calcium and iron and low in saturated fats. Harder to find that other types, it is worth considering, as it really delivers nutrition-wise. Oat milk, like rice milk, is high in sugar without the calcium and protein content of cow’s milk and is not recommended for those with a gluten intolerance. On the plus side, it is cholesterol and lactose free with high levels of Vitamin E and a good source of phytochemicals and folic acid. It can be difficult to obtain, usually only available in health food shops. If you are considering buying one of these milk alternatives at the grocery store, bear in mind that many are highly processed, so read the labels carefully. The flavored versions should be avoided at all costs with their high sugar content.